The Sun Jellyfish is very unique as one of the most individual water forms in the world. They have a lifetime about three to six months. 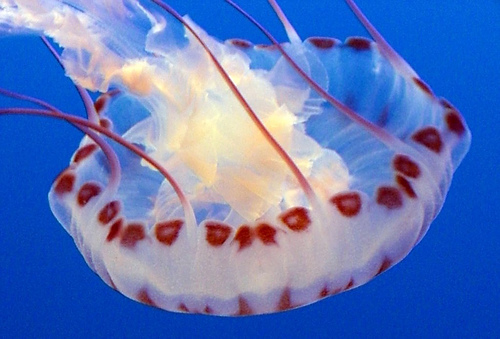 The tentacles are covered with stinging cells called cnidocytes. Due to their invisibility in the sun, they are toxic and can cause death to humans so the sting is extremely painful and attributed to various allergies in humans.